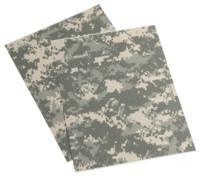 Clothing and gear tears are repaired fast and easy in the field with our no-iron patch that adheres in just 45 seconds! Fixes holes and rips on NYCO ACU, Nomex and Defender M flame-resistant uniforms. This is the first self-adhesive repair material that is Flame Retardant and NIR compliant. Patch is easy to apply: Smooth out the tear, peel and apply patch, and press with MRE spoon to remove air pockets. Adhesive sets in an hour and is fully cured for laundering in 24 hours. 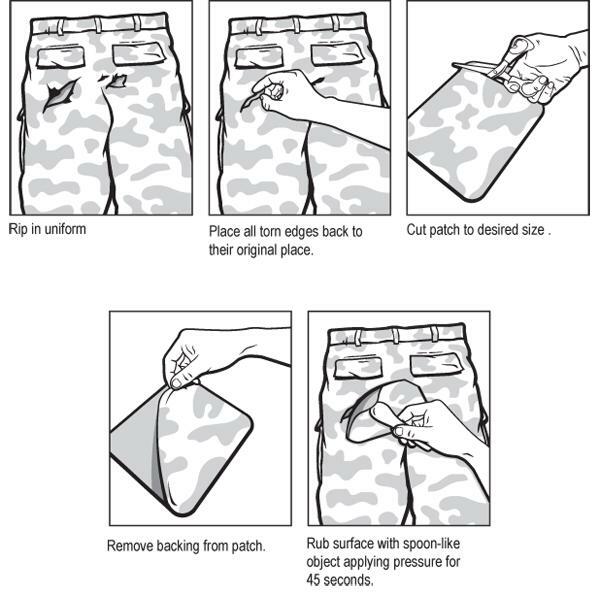 8.5'' x 11'' patches are sized to cover large rips in trousers seat, or trim to size for other uniform repairs. PEO Soldier has confirmed the safety release of these kits for Soldier use and distribution. 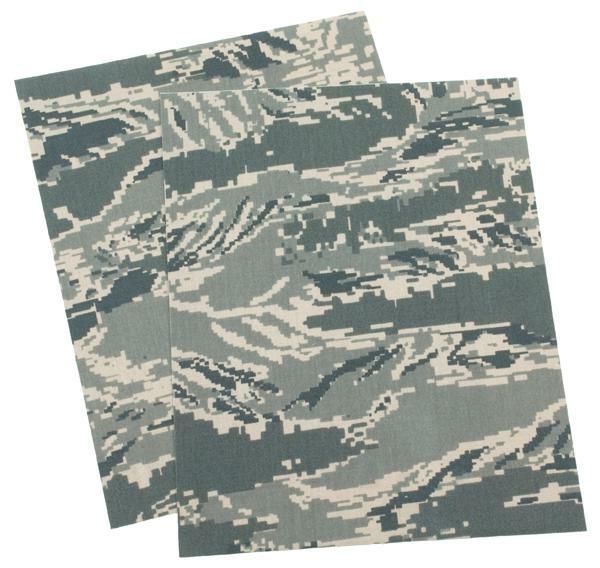 Available in the officeial USAF ABU Camouflage pattern. Repairs: ACU, ABU, FR ACUs, Aviation and Combat Vehicle Crewmans ensembles, all Gore-Tex, Gen III ECWCS and Gore-Tex / Cordura nylon equipment repairs.